A nonprofit board portal that puts materials, meetings, communications and resources into one secure online tool, Diligent Boards makes it easy for directors to prepare and contribute. Directors benefit from single sign-on and real-time access to the resources they need to do their work: agendas, calendars, searchable document archives and more. Throughout, they’re able to work from—and sync across—all devices, backed by award-winning customer service and around the clock support in multiple languages. Administrators find their board governance tasks streamlined by features like drag-and-drop book-building, one-stop agendas, calendars and materials they can update and distribute in real time. Meanwhile, online editing, annotation, notification and approval tools streamline paperwork and decision-making. 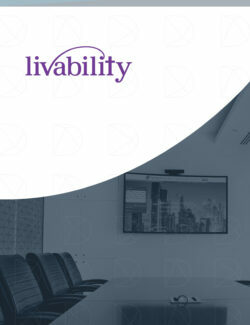 Among board portals for nonprofits, Diligent is the solution with industry-leading security built on multiple levels. ISO and TRUSTe-certified and internationally audited infrastructure and robust encryption make it nonprofit board management software that organizations can trust for valuable electronic materials and resources. Customizable permissions, access controls and virtual committee rooms put you in control of who sees what. Need to engage the full range of voices in debate and decisions, yet keep sensitive data secure? Diligent Messenger moves sensitive information out of email and into a secure communications loop that works like a text messaging app. Additionally, if a device is lost or compromised, our remote wiping capabilities swiftly mitigate the risk. To further keep board governance for nonprofits on track, we streamline performance assessment with Diligent Evaluations. This add-on module seamlessly integrates with Diligent Boards to provide the intuitive questioning and detailed reporting nonprofits, associations and foundations need to understand their current status and guide where they’re going. Livability, a national UK Christian disability and community engagement charity, sees first-hand how many vulnerable people in society need support.